Movie Ramble: Man Tanker Sitt (Burrowing). Sebastian lives at home with his mother. He is eleven years old. From an elevated spot in the playground he surveys his neighbourhood. He can see Jimmy who lives with his parents, even though he’s got a child of his own. He can see Anders, who’s just been given planning permission for a new carport. In a hollow where the surface water blends into the brook Mischa is looking for fish. He came as a guest worker in the 70's but still hasn’t left. The curious Sebastian is also our narrator and manages to spout words well beyond his years! 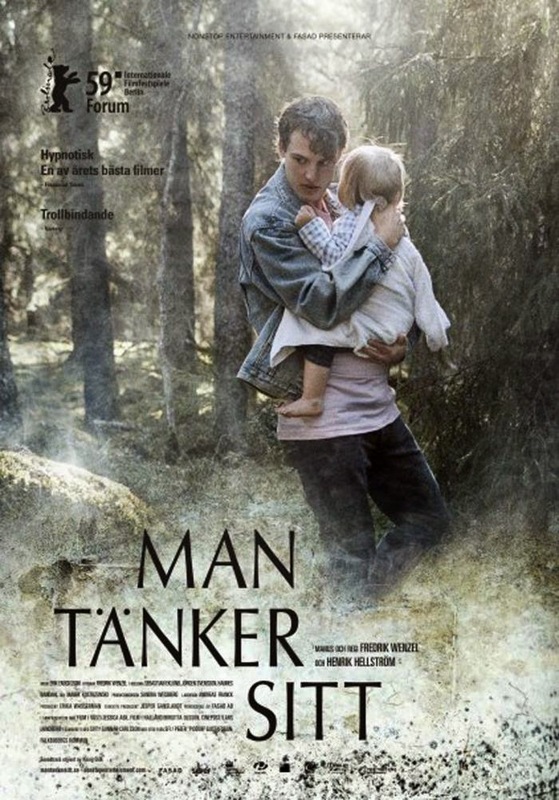 The word that came to mind while watching this movie Man Tanker Sitt (2009) was strange! Its weird camera work and lighting complements its haunting soundtrack and the many silences that occur, which in turn offsets the bizarre behaviour from the complicated people that live in close proximity to each other. Henrik Helstrom and Fredrik Wenzel who also jointly wrote the screenplay directed this somewhat odd movie. It’s UK premier was at the London Film Festival in 2009 but did not get a general release, which to be honest I’m not really surprised. Filmed on location Falkenberg, Halland County, Sweden your never sure where this dreamy, very contained, arthouse drama is heading or what’s going to happen. Strictly for admirers of Terrence Malick and Ingmar Bergman, if you’re looking for something a bit lively or exciting give this a miss.